A Useful Ground Floor Shop Unit just off the High Street fronting onto Low Green. Shop sales area 361 sq.ft (3.54 sq.m). Store Room 178 sq.ft (16.54 sq.m). WC. 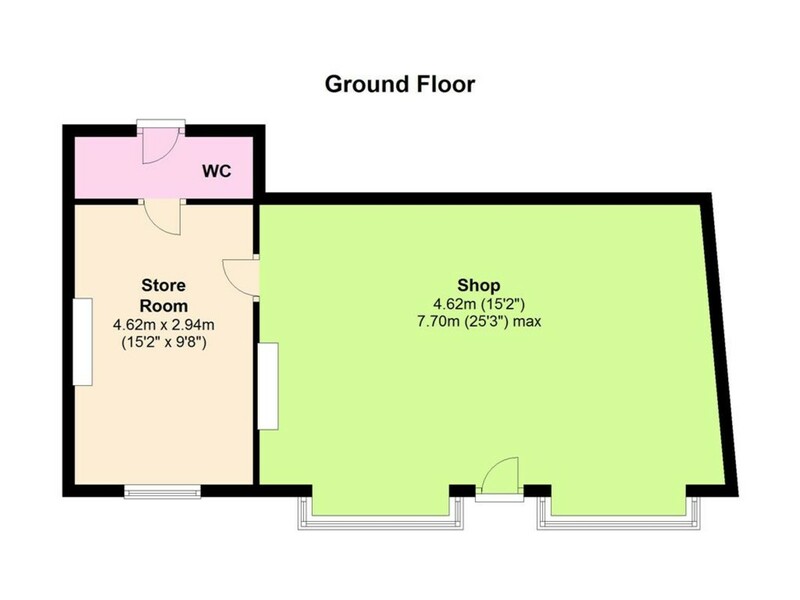 Shop sales area 361 sq.ft (3.54 sq.m). Store Room 178 sq.ft (16.54 sq.m). WC. Rateable Value £2,900. Small business rates relief may be available to the new tenant. They should enquire with RDC 01748 829100. To be paid for by ingoing tenant. Landlord's solicitor prepares the lease.